The Genuine Italian Vegetable Tanned Leather Consortium was founded in 1994 by a small group of Tuscan tanners. Within a short time the Consortium increased in membership. Today there are more than 20 associated tanneries, all of them operating in Tuscany, in the area between Pisa and Florence, and sharing the same passion for vegetable-tanned leather and the same standards of production. 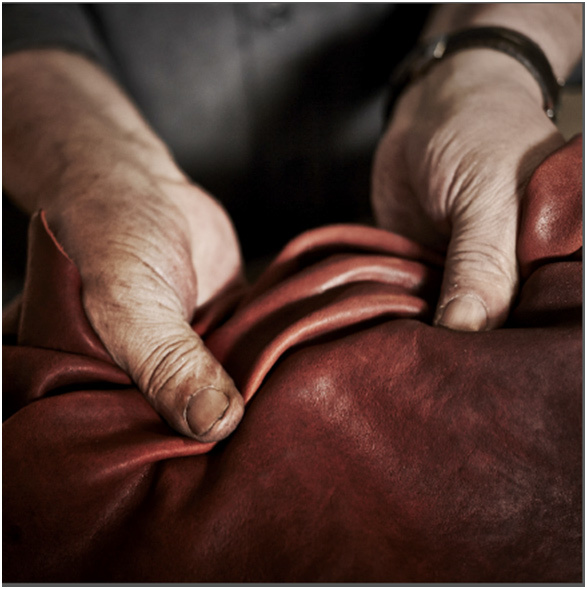 In the Tuscan Leather District vegetable-tanned leather is still produced following the traditional methods: turning raw hides into durable leather takes time and patience, and the skillful combination of technology and experience. The quality of Tuscan vegetable-tanned leather is the result of a long-lasting expertise and it’s closely connected to the lifestyle and culture of its production area. The Consortium acts as guarantor and ambassador of this Tuscan excellence throughout the world, an undertaking it has consolidated with the creation of the quality trademark “Pelle Conciata al Vegetale in Toscana” (Tuscan Vegetable Tanned Leather) and of the quality label guaranteeing quality and origin of leathers produced by its member tanneries. Presented as an elegantly scripted certificate of warranty endowed with a complex anti-counterfeiting system, the quality label enables the traceability of both the tannery supplying leather and the manufacturer of the finished product. I read and accept the privacy condition.